David Fontana is a Chartered Psychologist and a Chartered Counselling Psychologist. He is a Fellow of the British Psychological Society, and was Founding Chairman of the Society’s Transpersonal Psychology Section. He holds a Ph.D. in Psychology, together with a number of other degrees and professional qualifications, and is currently Distinguished Visiting Fellow at Cardiff University and Visiting Professor of Transpersonal Psychology at Liverpool John Moores University. He has written widely on the psychology of spirituality and on the traditions and practices of the major Eastern and Western psycho-spiritual traditions. His 23 books are translated into 26 languages. 1. Why the Psychology of Religion?. 3. Introspection and Inner Experience. 4. 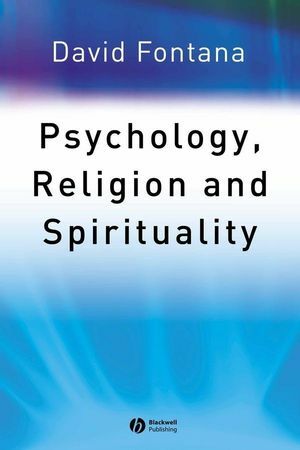 Approaches to the Psychology of Religion and Spirituality. 5. Religious Beliefs and Practices. 6. Approaches to Spiritual Development. 7. Spirituality and the Brain. 8. The Origins of Religious Belief. 9. Religious Expression in Myth and the Creative Arts. 10. Varieties of Religious and Spiritual Experience. 11. Concepts of Self Soul and Brain. 12. Religion Health and Well-Being.